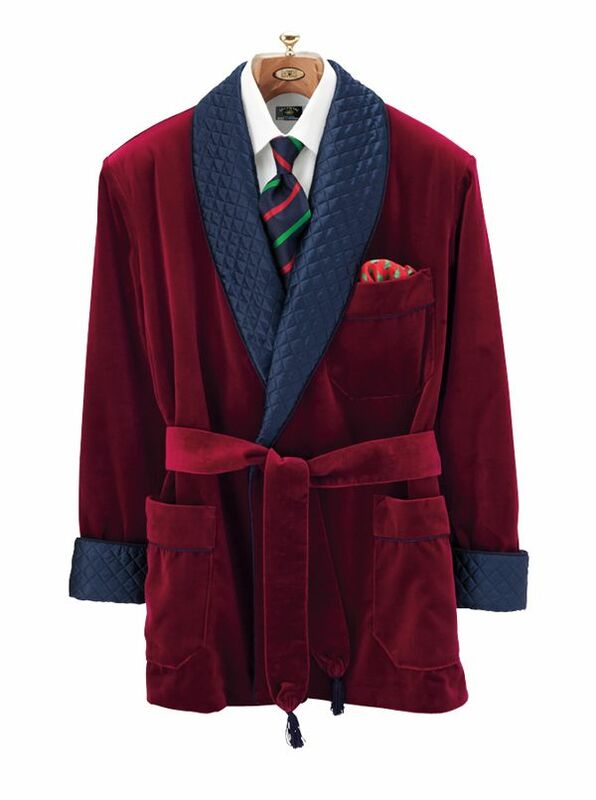 Lusso Smoking Jacket is a sartorial masterwork tailored in Italy of plush cotton velvet trimmed in pure silk. With navy quilted shawl collar and cuffs. Self belt. Bemberg lining.